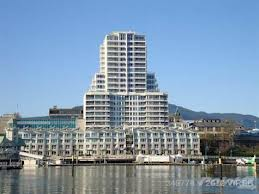 Buying a condo in Nanaimo can make a lot of sense if you are part of today's down sizing baby boom generation, or if you're a first-time home buyer. Condos are typically easier to care for than single-family homes, they usually cost less than a traditional house, and condominiums come with more amenities than the normal house would. Just as with most things in life there are pros and cons to everything. With that in mind, here are three things to consider before buying a condo: 1. While condos can come with a lot more amenities than you will find in a traditional house - things like a swimming pool, spa, workout room, roof top deck and more - all of these things do come at a price. If you are thinking about buying a condo be sure to understand what the monthly Strata fees are and whether or not there are any planned assessments as well. 2. Have a good understanding of what utilities, maintenance and repair costs you pay for and which ones the Strata pays for. Some condo Stratas include some or all off the utilities in your monthly assessment along with exterior repairs, while other associations do not cover nearly as much. When you are shopping for a condo to buy, knowing what is included in the monthly fee will help you to make sure you are making an even comparison between two or more condo properties. 3. Know your neighbors before you buy. Noise through the walls from the next door neighbor, yipping dogs, cooking odors and creaking floors are all possible annoyances that could turn your dream condo purchase into a nightmare. Before you make an offer on your condo, be sure to visit the property at different times of the day and different days of the week - including weekdays and weekends.